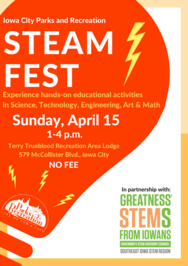 Don't miss STEAM Fest on Sunday, April 15, 2018, scheduled from 1-4 p.m. at the Terry Trueblood Recreation Area Park Lodge, 579 McCollister Blvd. 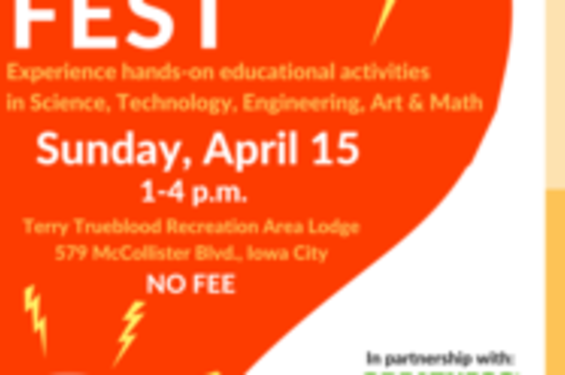 Children and adults of all ages are invited to experience hands-on educational activities in Science, Technology, Engineering, Art and Math, led by local community groups. More than 20 organizations will host interactive activities.